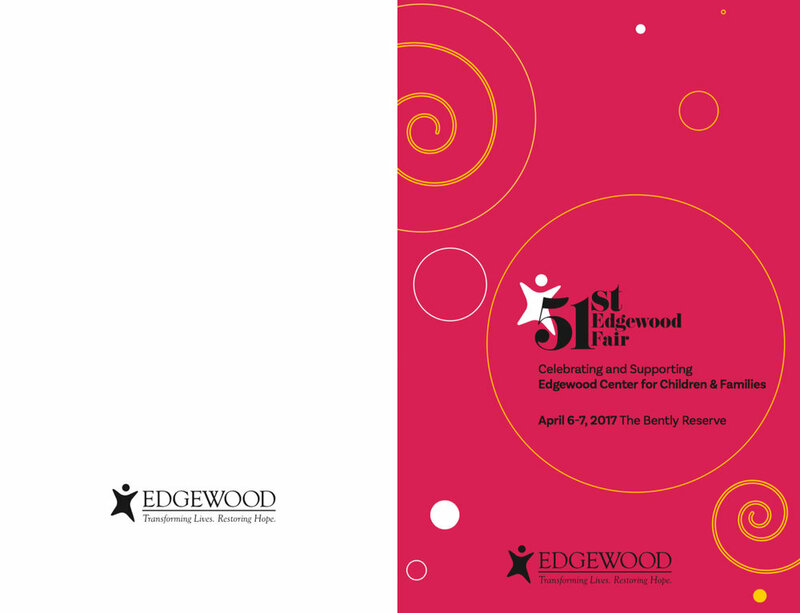 The Edgewood Center for Families is one of the oldest non-profit organizations on the west coast. 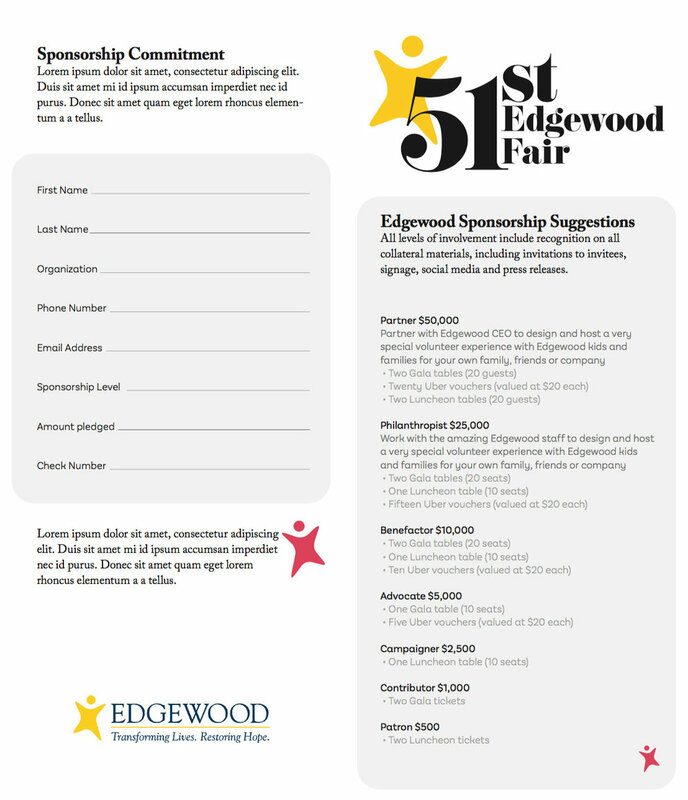 Every year, they host the "Edgewood Fair" – a two-day fundraiser for their organization and the families they serve. 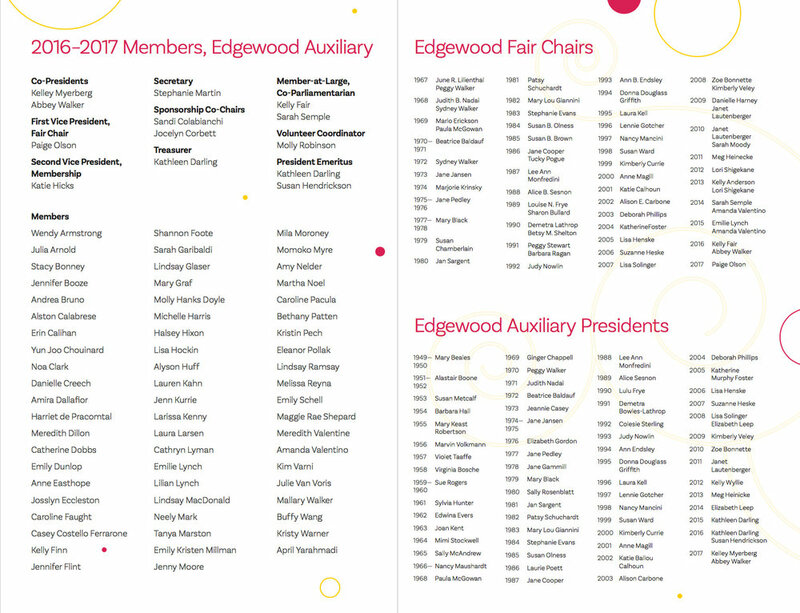 I worked with the organization, primarily members of the Ladies Auxiliary, to create a handful of deliverables leading up to, and on the day of the event. 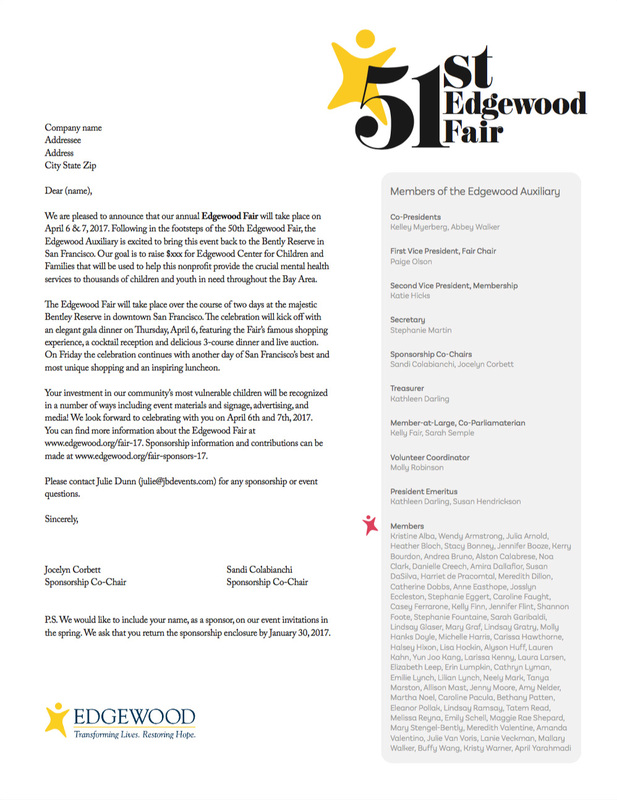 The first order was to create a few letters to announce the event and solicit donations. Weeks later, additional letters were sent out, along with a four-page "Save the Date" brochure. Two ads were created for the Nob Hill Gazette and the San Francisco Magazine. 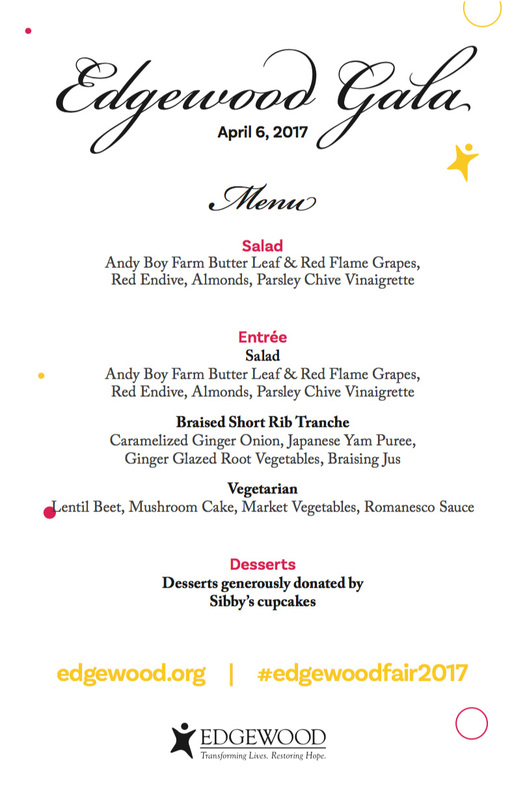 As the event got closer, the organization wanted to move towards something much more colorful and fun. So I incorporated a lot more pink and add visuals to be more representative of confetti or bubbles. This look carried into signage as well. 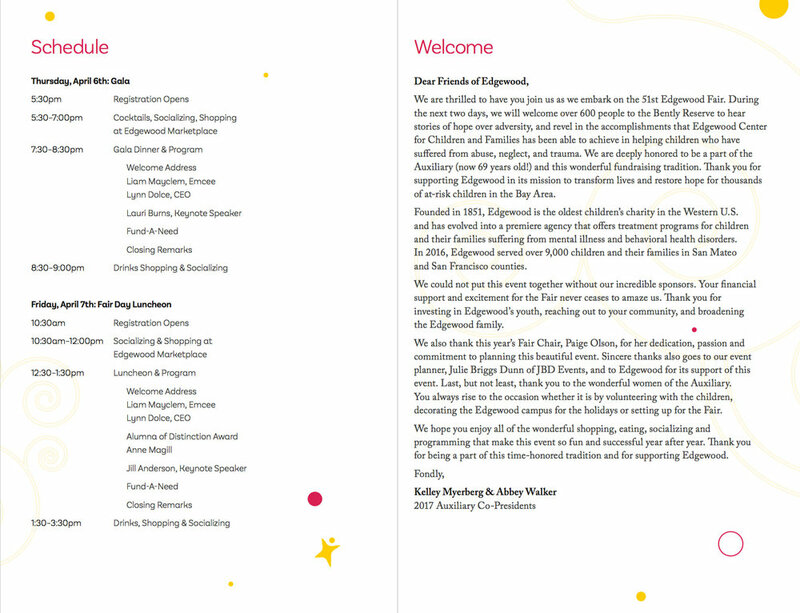 Below is an eight-page booklet provided to the attendees. Other deliverables on event day included, menus, bidding paddles, powerpoint template (for looping slideshow), and a variety of signage.